Are you looking at using CityWater? CityWater is a great way to manage water distribution using cloud-based technology. Recently, Aquaveo changed its pricing system for purchasing a CityWater license. The old system of standard and professional licensing has been modified. When purchasing CityWater, you can now configure CityWater to meet your needs. Begin by going to the CityWater Pricing page. This page will show you all of the options that can be included in your license. The top of the page shows the core components included in all CityWater licenses. After the core components, a list of components included with each add-on package is shown. Make a note of the add-ons packages needed for your projects and the number of pipes in your largest project before clicking the Configure button. On the CityWater License Configuration page, you will select the specific features for your license. Start with entering the number of pipes in your largest EPANET model that will be used in CityWater. This does not limit the number of models that can be uploaded into CityWater, only the size of model. For example, if your largest EPANET model contains 1500 pipes, you could upload any number of models that contain 1500 pipes or fewer. If later you find that you need to upload a larger model, contact Aquaveo to receive a quote for adding a larger model. After entering the number of pipes for your largest model, you can select the packages to add to the license. The components of each package are described in the previous page. If later you discover you need a package that wasn’t originally purchased, contact Aquaveo to receive a quote. Finally, if you are interested in purchasing an Enterprise License of CityWater, you will need to contact Aquaveo for a customer quote. The price for an Enterprise License depends on the number of additional licenses you will be acquiring and the components of each of those licenses. When configuring your license, the Subscription Summary will automatically update with a quote based on the number of pipes in your largest model and the selected packages. Clicking Add to Cart will take you to the final page where you can review and pay for your order. If you have any questions about purchasing CityWater or how CityWater can help you, don’t hesitate to contact us at sales@aquaveo.com. After working to put together the perfect plot for your model to show what is going on, it’s nice to be able to keep that plot. Starting in SMS 13.0, you can save plot parameters with your project or for use in other projects. Previously, SMS allowed exporting the plot as an image or text file, but it did not allow you to save a plot file that SMS could read to regenerate the plot in your project. Saving a plot allows the plot parameters to be used over and over again, saving you from needing to recreate the plot in the future. After generating a plot, use the File | Save As command. In the Save As dialog, change Save as Type to “Plot File (*.plt)”. Furthermore, if a plot window is open in SMS when you save your project, a PLT file will be generated to go with your project. The PLT file that is generated can be opened in any instance of SMS. The file records the parameters used to generate the plot such as the selected datasets, observation arcs used, and plot display options. Once the plot file has been saved, opening the file in SMS will regenerate the plot. SMS will attempt to recreate the conditions that existed in SMS when the plot was first saved. If the plot is imported into the same project where it was generated, it should appear the same. If the plot is imported into a different project, SMS will try to match the conditions as closely as possible. For example, if the plot uses an observation arc, SMS will use the first observation arc it can find. If a mesh was used, then SMS will look for the same mesh. It will also look for the same dataset and if it cannot find it, then it will look for a dataset with the same name. Test out saving plots in SMS 13.0 today! 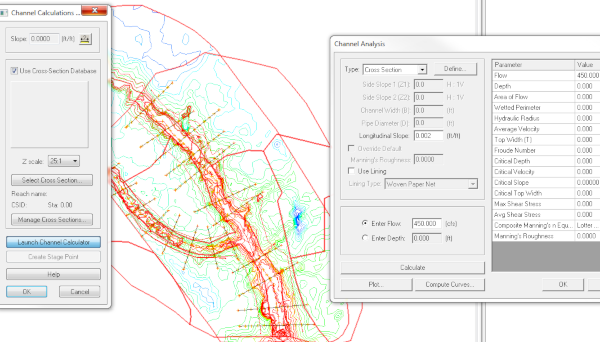 Does your MODFLOW model contain a confined aquifer? A confined aquifer layer is defined as "an aquifer below the land surface that is saturated with water. Layers of impermeable material are both above and below the aquifer, causing it to be under pressure so that when the aquifer is penetrated by a well, the water will rise above the top of the aquifer." In MODFLOW, a layer is considered confined when the head in the cell is above the top of the cell. Additionally, any cell located above the water table will be unconfined because the head in those cells will be below the top of the cell. The layers in your GMS MODFLOW model can be assigned as confined or convertible in any of the flow packages, such as in the LPF package. Other flow packages can be used as well, including the BCF, HUF, and UPW packages. When setting up the MODFLOW model, select the desired flow package in the MODFLOW Packages dialog. The selected flow package must be compatible with the specified MODFLOW version. In any of the flow package dialogs, under the Layer Type subheading, a layer can be defined as "Confined" or "Convertible". "Convertible" means GMS will automatically assign the layer as confined or unconfined depending on the elevation of the water table in the simulation. Only one layer type can be assigned to each layer. By default, all layers are set to convertible unless specified otherwise. 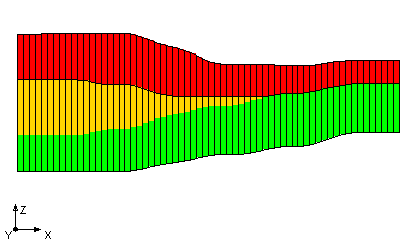 When a layer is explicitly set to be confined, MODFLOW will use the thickness of the cell, rather than the saturated thickness, to compute a transmissivity value. It will not check for the unconfined condition in the layer. After defining the layers as confined or convertible, you will have a confined aquifer for your simulation. 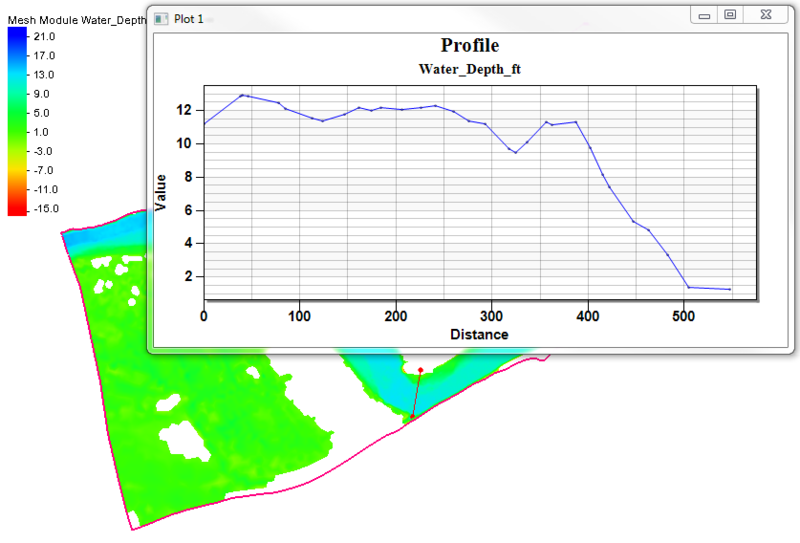 Try using confined aquifer layers in your GMS models today!